Today’s post is by Alan Cross. Alan is a Southern Baptist minister who served as a pastor for 16 years in Montgomery, Alabama. He currently works on behalf of immigrants/refugees with the Evangelical Immigration Table and as a missional strategist with the Montgomery Baptist Association. He is also the director of Community Development Initiatives (CDI). Check out Alan’s blog, find him on Facebook, follow him on Twitter, listen to his podcast, and buy his book, When Heaven and Earth Collide: Racism, Southern Evangelicals, and the Better Way of Jesus (NewSouth Books, 2014). I said this to our elders as a brand new pastor when Hurricane Katrina devastated the Gulf Coast in 2005. We were in Montgomery, Alabama, approximately 200 miles from where the destruction started. I was convinced that if we could help, then we were obligated to do so. Our comfort, safety, and convenience could no longer be considerations when our neighbors, fellow believers, and countrymen were in such dire need. I told our church leadership that if we didn’t give our church an opportunity to respond and help, our members had every right to question our leadership. Why did we even exist? It was a bold step, but I was convinced that we were right. 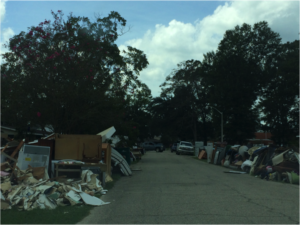 When the floodwaters began to rise in Louisiana a couple of weeks ago, it took me a few days to hear about what was going on. Like so many others, my news consumption was mainly focused on the Olympics and the looming presidential election. I am from Louisiana and South Mississippi, so images of flooding in that area are not that surprising. But, as the weekend progressed, I began to realize that this was different. There were serious problems here. I found out that approximately 7 TRILLION gallons of water fell on Louisiana over the course of a few days—24 inches or more in some areas. The rivers and bayous of Livingston, Ascension, East Baton Rouge, Tangipahoa, as well as many other parishes were inundated to the point of overflowing. Floodwaters rose to the rooftops. People were suffering again in Louisiana and while my concern was with them, my concern was also for the church. Would we respond? Would we rush to the aid of our neighbors? Southern Baptist Disaster Relief team members cook, clean, mud out houses, and many other tasks. For a week or more, the church seemed to respond slowly and many seemed to be in a lull. The media seemed absent from this story and the alarm was slow to be heard. Little-by-little, however, individual and teams started going to the flood zone to both help and to assess the situation so others could come help. 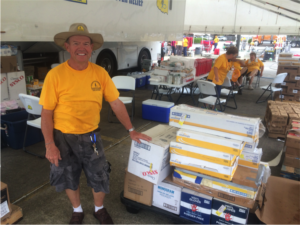 Southern Baptists have a fantastic disaster relief ministry. The North American Mission Board and state conventions having thousands of trained volunteers that work to feed people, clear debris with chainsaws, and do a myriad of other needed relief activities. Many volunteers are retirees who are giving their “golden years” to ministry, always ready at a moment’s notice to head to the next disaster area. But, sometimes, the disaster is so large that individual churches need to respond. Katrina was that way. The Louisiana Floods are also one of those disasters. People’s ruined possessions line the street in a flooded area. I went down that first weekend after the floodwaters subsided and saw destruction everywhere. It wasn’t the type of destruction that happens with a tornado or hurricane where houses are flattened. 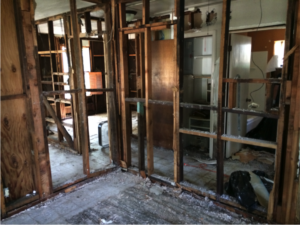 It was an inside-out destruction as floodwaters had ruined the inside of homes – tens of thousands of them. Whole towns and parishes were affected. Driving around working with others I saw the possessions of families piled high on the streets—completely ruined. I witnessed people frantically trying to “mud out” their homes to save them from the encroaching mold. And in the midst of these calamities, I saw local churches springing into action. Churches in the area were opening their doors and mobilizing their people to aid their neighbors. Food, shelter, work crews…hope; all of it was being dispensed lavishly. The inside of a flooded home. Ruined sheetrock has been removed leaving only studs. 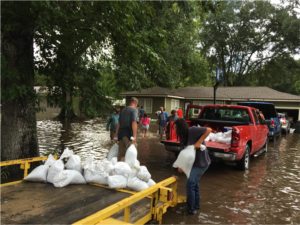 Over the past two weeks churches from across the Southeast and beyond have joined their local brothers and sisters in Christ to give aid and hope to flood victims who are working hard, but are wearing out. That is what Christians are supposed to do: come alongside those in need. Galatians 6:2 says, “Carry each other’s burdens; in this way you will fulfill the law of Christ.” Jesus said, “[L]et your light shine before men, so that they may see your good works and give glory to your Father in heaven” (Matthew 5:16). Pastor, leading your church to help those afflicted by natural disasters is a crash course in discipling your people in service, sacrificial love, and burden bearing. If you think beyond giving financial assistance (which we should do out of love) to how your own church will be spiritually formed, the reasons to create disaster relief teams dwarf the reasons not to. Having gone to disaster areas by myself and with small teams, I can attest: any church can do this and every church who does will benefit from laying their lives down to help their neighbors. 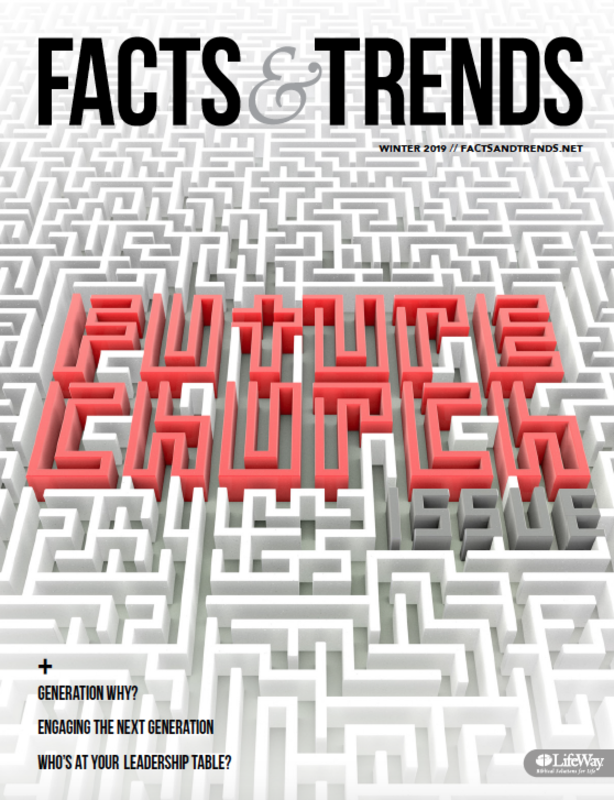 Discipleship is far more than what happens inside a classroom in a church building. Sometimes, it is what happens with a shovel in your hand in the midst of 95-degree heat as you help mud out a home of a stranger who has lost everything. Pastor, lead your church there. All photos courtesy of Alan Cross.